Movable weights in drivers is a topic almost as contentious as bifurcating the rules of golf. Some golfers won’t buy a driver without them. Others find them overly complicated, intimidating even. Regardless of your opinion, movable weights seem to be here to stay, so we decided to explore whether or not they make a real difference in the performance of a driver. For this test, we brought together five testers, all with single digit handicaps. Each player hit the same driver (TaylorMade M5) with the weights in four different positions: forward, back, heel, and toe. Each player selected a shaft that fit their swing and used it throughout the test. We collected data on every swing but only counted five drives per setting, each with a smash factor above 1.44, toward our totals. Though the results were not always predictable, there is no question that launch and spin were affected by the position of the weights. In comparing their highest launching setting to their lowest launching setting, our testers had differences of 3.2, 3.7, 2.1, 2, and 2.8 degrees. It is worth noting that the forward weight position, which should be the lowest launching, produced the expected result for only three of our five testers. The movable weights had a large impact on spin as well. On average, our testers had a 728 RPM difference between their lowest and highest spinning setting. Four of five testers did have their lowest spin with the weight forward, and three had their highest spin with the weight back. Since the movable weights impacted launch and spin so significantly, it follows that they also affected distance. On average, our testers gained 15 yards of carry distance by shifting the weights from their worst fit to their best. One of the major selling points of adjustable weight drivers is the idea that you can fix a slice or a hook by moving weights. Our data suggests that it’s not that simple. We did not see our players’ shot patterns move to the right or left when the weight was moved to the toe or heel. That said, there is a plausible reason why we didn’t see a strong correlation between shot shape and weight position: all our testers were good players. 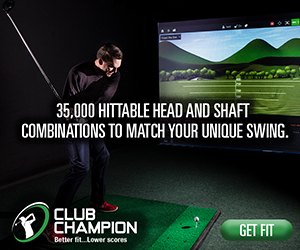 When these players felt the club change, they made compensations to offset the change in weight. Some of the testers even stated that they felt themselves manipulating their swings to produce the shot they wanted. While we didn’t see the movable weights shift shot patterns cleanly left and right, they had a large impact on dispersion. You can see the shot patterns of the five testers above. Each player clearly had one weight setting that was much better or much worse than the rest. Though the MOI of the driver is highest with the weight back, we found the boost in forgiveness difficult to prove. Only two players had their highest average ball speed with the weight back. Similarly, moving the weight back was no guarantee of tighter dispersion. Some players did report that the club felt more forgiving with the weight back. One player said, “That shot definitely would have been a dud if the weights weren’t back.” Without tracking impact location, however, this is only anecdotal. What we concluded is that the change in forgiveness is less significant than the player’s feel preference, at least for better players. If a player preferred the feel of the weight forward, no amount of extra MOI would offset forcing him to play a club that’s uncomfortable in his hands. Of our five testers, four felt strongly that the movement of the weights changed the club’s feel. Their feedback was not always what they, or we, expected, nor did they all agree with each other. One player said they only felt the difference at impact; others felt it throughout the swing. Though everyone felt something different, it seems clear that movable weights did impact feel. One thing that we’re interested in is how different the results would be with mid or high handicap players. We favor testing with low handicap players because the data is much cleaner: there are far fewer wild shots and mishits. However, it would be interesting to see if higher handicap players would be more or less sensitive to the movement of weight. Our hypothesis is that high handicap players would be less able to compensate for a weight position that did not fit them, and thus the differences between weight positions would be more dramatic. We are also interested in testing other movable weight drivers and zeroing in on exactly how much weight needs to be moved to make a difference. This test provided at least as many questions and opportunities for further testing as it did answers, but one thing is very clear: if you have movable weights in your driver, you can gain a lot by having them positioned correctly. Don’t settle for the weight position that is supposed to work for you. Book some time on a launch monitor, preferably with a club fitter, and test a variety of weight positions to find the one that gives you maximum distance and accuracy. Great info Matt! I can’t wait to try and experiment with my next driver. Now just need to figure which one. Had good success with Ping G410 and the PXG 0811X and XF in fittings. Matt good o know. 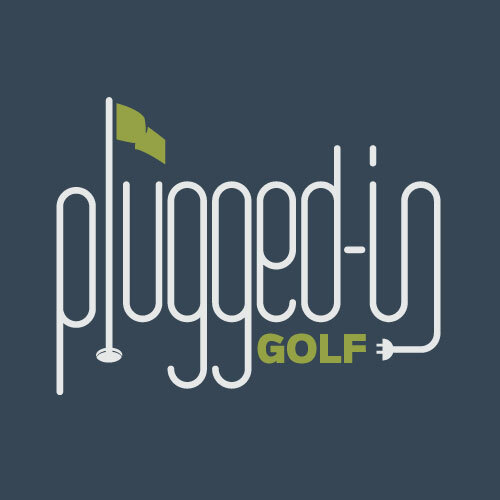 My question is there any plans to test with mid to high handicap golfers? 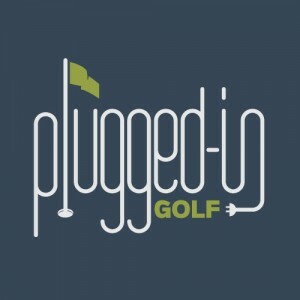 Do you think they would be helpful to high handicap golfers? We may do that in the future. Movable weights have the ability to help golfers of any level, assuming they’re well fit. excellent article and great information!!! Thanks! I agree Trackman is great for this type of occassional analysis and it is great to see that single digits are easily driving it +- 5 to 10yard distance wise, and +-10 to 15yards left/right on their GOOD shots. And if certain clear patterns, which we can see there, corespondents to the set ups as per manual, that is encouraging. And great to learn that weight forward reduces spin…! Small comments, which could even improve your test results, despite your very reasonable effort taking only single digits and smash 144+ shots. As someone working with statistic, I would erase one orange left short shot (picture on the left, bottom row) – that is by far worst shot and perhaps a mishit (despite 144+ smash). I am sure player did not like that shot. On next picture, you should delete one green, one dark blue and one orange, which all went very left and short compared to other 4 shots within that set up. Those shots were mishits, much less influenced by set up. That would change ovals radically on that picture (making orange the best set up for the guy – the worst driver of all, apparently). On next picture (third from left), the one yellow on left is a clear outlier and should not be counted. The other 4 yellow are pretty consistent and the oval changes a lot, showing clearly that yellow promotes nice baby fade for the guy. The picture of right bottom is clearly the best driver of the ball, and erasing the one red slice make the red set up his best, all of sudden. I see no real outliers on the picture in top row. My definition of outlier for these purposes: 4 shots with clear pattern, and one ball sprayed well away from oval made around those 4 (I could provide some formula based on standard deviations…). And trust me, for conclusions – after you see it visually like this – it is better to take just 4 shots without outlier than 5 including such outliers. Ask any good golfer with strong statistical education. Great article Matt. These keep getting better and better. A suggestion for your next version of this: have the testers be “blind” as to which setting the driver is in. If you tell them the weights moved, there can be a placebo effect by which they tell themselves that the club should feel different. Or if you tell them the weights are moved out to the toe they may intentionally swing differently to shape their shot accordingly. But if you don’t tell them how the weights are set for each swing you can eliminate some of that. “… have the testers be “blind..” .. Excellent idea…. friends have tried this and the conclusion is always different — Going blind fooled 3 out of 5 players. Hurray for a serious and well executed attempt to address this weight moving issue! I have asked several services that “test” clubs for a simple exercise: what clubs back say 5 years give the Member Guest team the BEST chance of finding the fairway when 2 down with 5 to play! Drivers only no 3 wood wimp outs( I often wimp out regularly in this circumstance!) should we all carry mini drivers like Callaway’s of a few years back? I hit a Cobra XL driver when desperate with no moveable weights but a Callaway Razr Fit straighter than the hot faced stuff of the last 2 or 3 years! I think this is the best piece that you’ve ever done. I agree with the conclusions. Having said that, I’ve moved away from adjustable drivers. Simple reasons: I need the forgiveness the non adjustable usually provides and the non adjustable (eg: M4,M6) is almost always cheaper..
Should have tested with high handicap players like myself. We are the ones who need the most help with slicing and equipment to help us. Low handicap players don’t need much help. Great statement, Jason! Get fitted! Another good one, You guys Rock!!! I totally agree! That’s why I invested (heavily & painfully) in the Epic Flash driver this year…after testing it against the Cobra F9.